This time, let’s do the right thing. But then there is that “worst,” which would have to include the squalid refugee camp at Traiskirchen just outside the city—called “beneath human dignity” by the UN refugee agency—and the increased support for the far-right Freedom Party in last month’s local elections. In liberal Vienna, where I’m living this year, the Social Democrats held on to power, but the Freedom Party got 31 percent of the vote—up 5 percent from the 2010 elections—on an anti-immigrant platform that included a proposed border fence. Never mind that most migrants are passing through on their way to Germany, where there’s work and a welcome from Chancellor Angela Merkel (whose poll numbers promptly took a plunge—no good deed goes unpunished). The fear of being overwhelmed by strangers—Muslim strangers—is vivid. Most of the migrants coming to Europe are young men, not families, and many are not Syrians fleeing ISIS and Assad, but Iraqis, Afghans, Eritreans, even Pakistanis and Serbs. It’s as if enormous masses of healthy young people suddenly decided they’d had it with living hopeless lives in hopeless places. Apparently, some lessons of the Holocaust have yet to sink in. And what about the lessons of recent wars? My first thought when the refugees and migrants showed up at the Hungarian border was: This is a miracle—history is giving Hungary a chance to redeem itself for the Jews it shipped off to the death camps in World War II. It should take in exactly the number of its missing Jewish population—some 550,000 men, women, and children. The other European countries should do the same: Poland should accept 3 million, France 77,000, Slovakia 68,000. Austria, which for years evaded its share of responsibility for the Holocaust by claiming to be “Hitler’s first victim” instead of his eager partner, would be down for some 50,000. One has these thoughts wandering around Vienna, whose brilliant prewar culture was so bound up with its Jewish community, and where today, if you look down at your feet, you might well find a set of Stolpersteine—brass cobblestones bearing the names, dates, and fates of the Jews who used to live at that address. But of course it wouldn’t work. Even if Poland wanted to, it couldn’t absorb 3 million immigrants, and it very much doesn’t want to: Poland initially opposed the European Union’s plan to share out the refugees among member nations (Slovakia, the Czech Republic, Hungary, and Romania voted against it) and, in the wake of the Paris attacks, is again calling it into question. Slovakia said it would take 200 refugees, but only Christians. For these countries, immigration was fine when hundreds of thousands of Eastern Europeans were using the EU’s open borders to go work in the United Kingdom, prompting the tabloid-fueled resentment of “Polish plumbers” who would take British jobs. But when those same policies mean accepting migrants into one’s own society, forget it. Then ethnic and religious homogeneity becomes a perfectly good reason to reject desperate people. Apparently, some lessons of the Holocaust have yet to sink in. And what about the lessons of the Afghanistan and Iraq wars? I’m not one to blame the United States for every evil in the world—people are quite capable of being evil on their own—but without our unnecessary military interventions and their far-reaching consequences, ISIS might well not exist. In the wake of the Paris massacres, we see the same nationalistic hysteria as after 9/11, the same hatred of the other, the same impossible demand for perfect security. It’s xenophobia squared: To use David Cameron’s word, the “swarm” of Muslim immigrants will not only overwhelm our social services, take our jobs, and change our culture—the usual anti-immigrant fears—but kill us in our beds. And because these fears are at bottom based on bigotry, it doesn’t matter that none of the eight named suspects in the Paris attacks was Syrian, or that the Syrian refugees are fleeing the very fanaticism we fear. Nor does it matter that we have a responsibility to Iraqi refugees, whose displacement we had a major hand in causing. It’s asking a lot for Europe to absorb so many new people all at once. (As this column went to press, Sweden announced that it could no longer cope, and would tighten border controls and asylum rules; Vice-Premier Asa Romson was reportedly close to tears as she announced the change in policy.) The United States, with our rich history of immigration, and our enormous territory, should be putting out the biggest welcome mat. Instead, we get a torrent of racist hate from Republican politicians, of whom Trump is merely the loudest. Obama has spoken wisely, but has agreed to offer only 10,000 Syrian refugees legal status this year. We can do better—since 2012, we’ve admitted only 1,854. 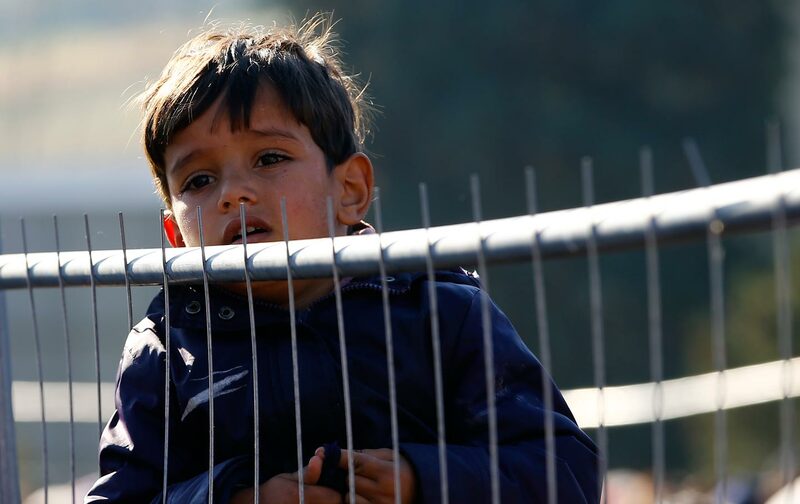 There’s a poll going around social media showing that in 1939, 61 percent of Americans opposed admitting 10,000 refugee children, most of them Jewish, into the country. Who doubts today that we should have opened our doors to the soon-to-be-murdered Jews of Europe? History is giving not just Europe but the United States another chance. This time, let’s do the right thing.